Today I wake up in the city that never sleeps! Natty Guy and I flew in yesterday to meet his mother and our 16 year old nephew for the weekend. My mother-in-law has a tradition of taking each grandchild on a cruise the summer after they turn 16 and this year is the youngest of the four’s turn. When she realized the trip left from NY area she thought it would be a great opportunity for this child to see the city but was worried about the stamina a quick visit might take, so called us in for reinforcements. This will be a surprise for our nephew! Natty Guy and I like the city so much we decided to come in a couple days early to check out some new spots of interest to us (the High Line, the Campbell Apartment) and to visit a long-time favorite, Cuba. Cuba has a great location near Washington Square Park and it’s become a bit of a tradition that we wrap up at least one night in the city with one of their fabulous mojitos. They also have a man there hand rolling cigars and patrons can take one on the way out. Natty Guy (occasional cigar smoker, only) grabs his and we head up to the park so he can smoke and watch the “night squirrels” rustle the pachysandra before heading home. Having the chance to see the city through my nephew’s eyes should be a lot of fun! My mother’s side of the family is from Westchester County and while my grandmother was alive we made regular visits. The highlight was always the time we spent in the city. Getting off the train at Grand Central and watching this incredible new world unfold. Dragging my mom way uptown to find Fiorucci’s because I HAD to have something of theirs for back to school. Hailing my first cab. Heck, I still have art books that I purchased from some stall vendors in Central Park when I was about 12. All glorious memories and I hope nephew will have the same. Below is general outline for a good/quick first time visit. Mind you this is the plan, but open to adjustment if something isn’t holding interest or if something fun and spontaneous crosses our path! AM: Take a HOHO (hop-on, hop-off) bus tour to get a general lay of the land and an appreciation for what some of the outlying neighborhoods look like. PM: Focus on the area around Times Square. If you follow the route below, entire walk is about 2.5 miles. Note route above is again, about 2.5 miles walking. Consider cabs, Uber or the subway if you are low on energy. Nephew is a sporty kid so other ideas we have in mind are Chelsea Piers for some sports activity fun and shopping at the Nintendo store, Nike flagship and Flight Club (a rare and high end tennis shoe re-seller). If museums are more in your family’s interest substitute an activity above for either the Guggenheim, Met or MOMA. For lovers of the music and dance, a trip to Lincoln Center or a backstage visit to Radio City may be the hit of the trip. Student government types might enjoy a visit to the UN. Nautical and history buffs – consider the Seaport. If it’s TV filming season, check out tickets to a show taping. Younger kids are sure to like the Central Park Zoo, American Girl, and Dylan’s Candy Bar. Any way you slice it, a well planned trip to NYC should leave you tired but fulfilled. This hop runs weekly from the Friday until 11:59 PM Sunday. We are open to all blogging niches and would love to have you join us. You two are such great people and I’m sure the nephew will be over the moon to spend this experience with you all!! Thanks Lori! We’re going to do our best to show him a fun time! Great post. 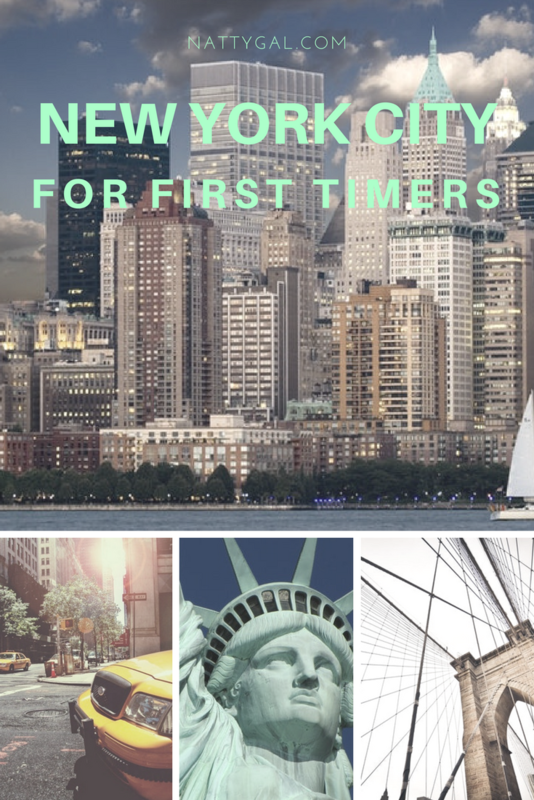 I love all the different things you have outlined to do in New York City. I haven’t been there in a very long time. I’m looking forward to doing that again once more. Can’t wait to join the Blog hop and probably going to join up on Saturday when my new posts go live. Thanks again.